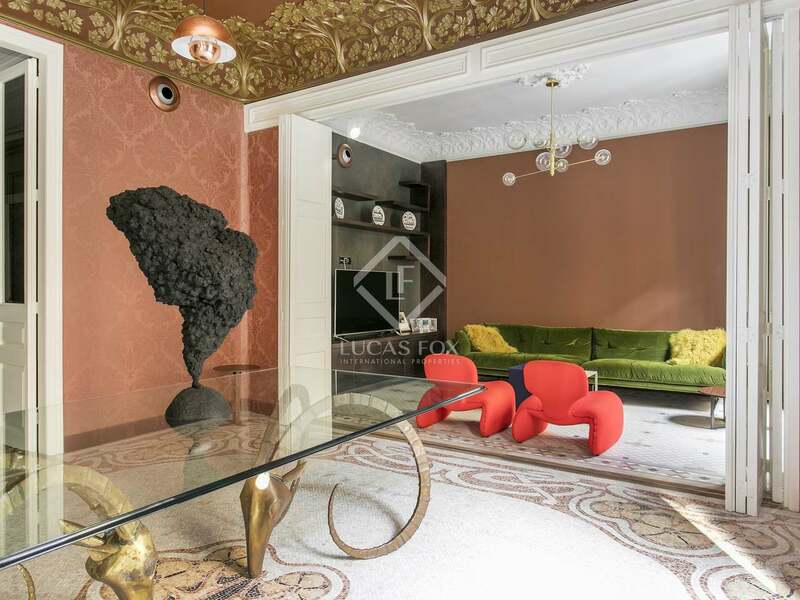 This is a private slice of Barcelona history in the heart of the city, a grand living space that offers every modern luxury but retains its modernist heritage and glamour. 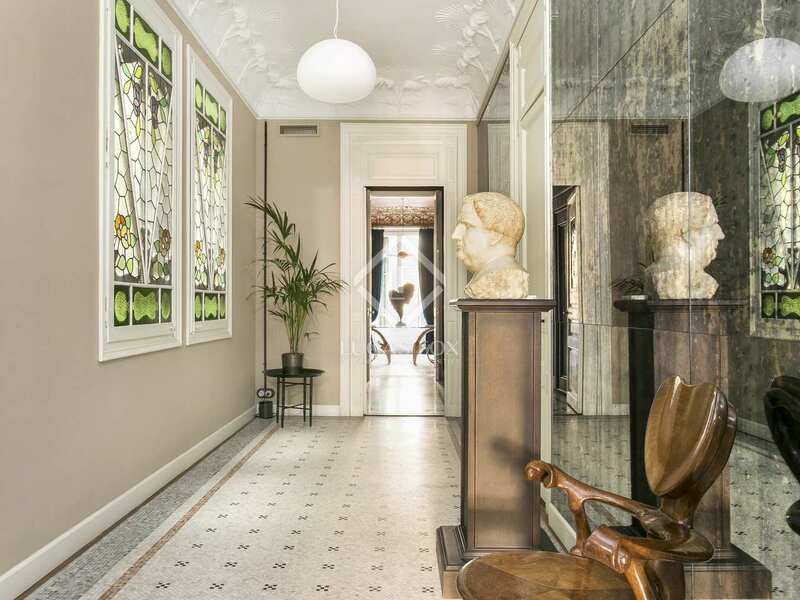 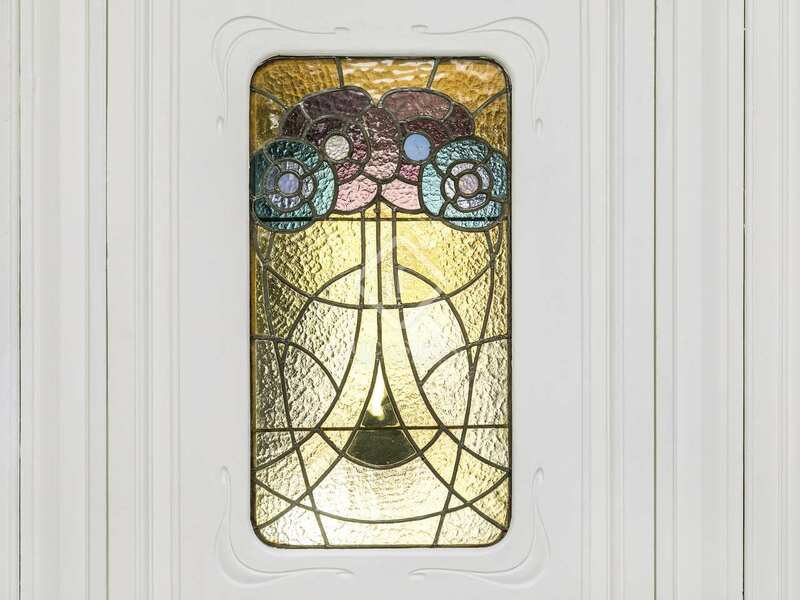 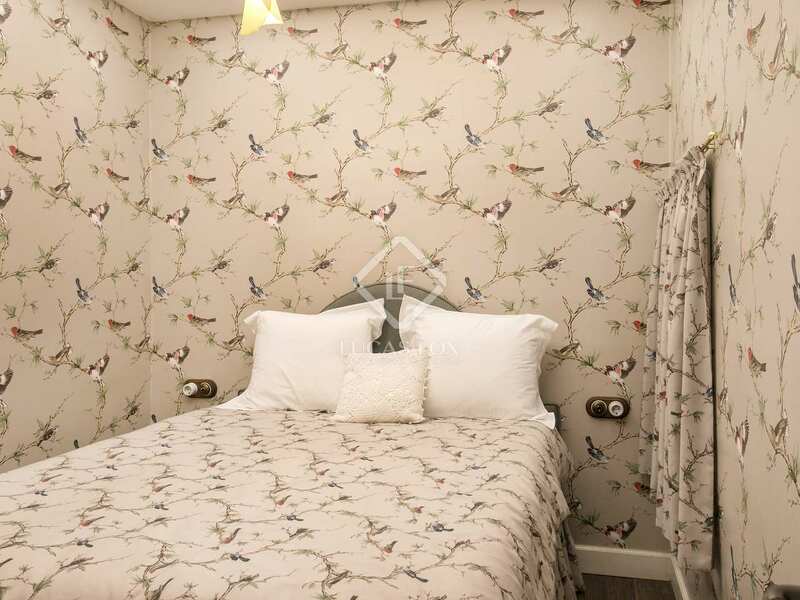 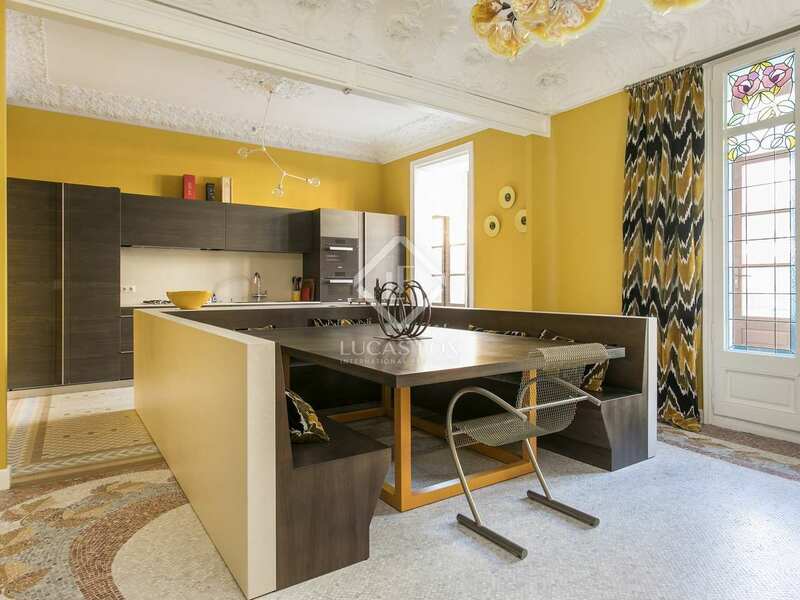 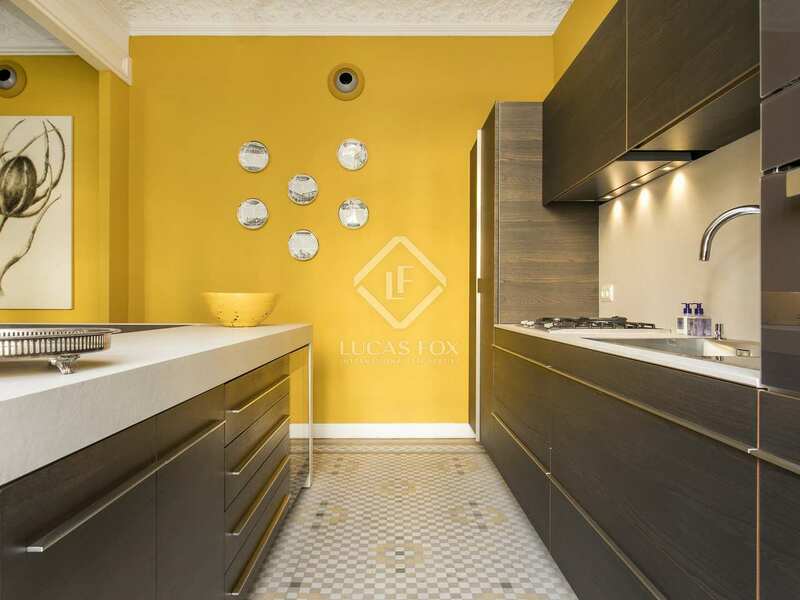 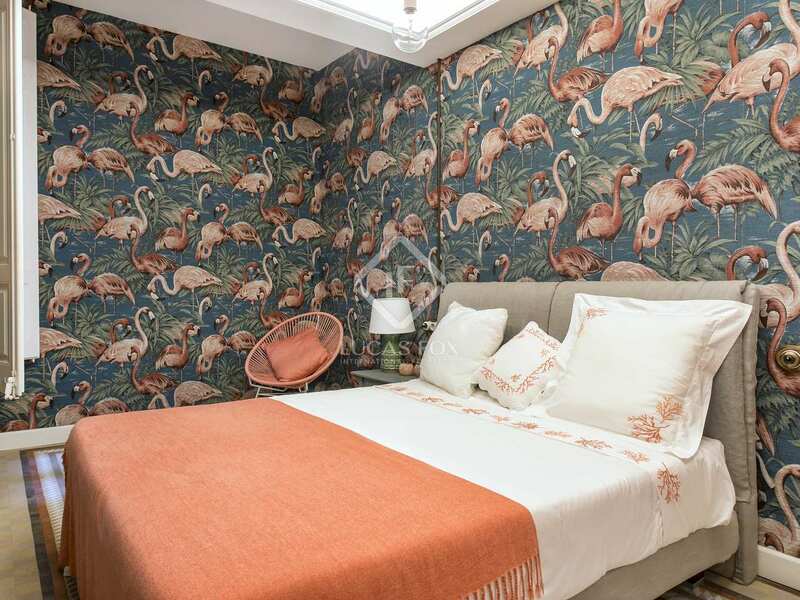 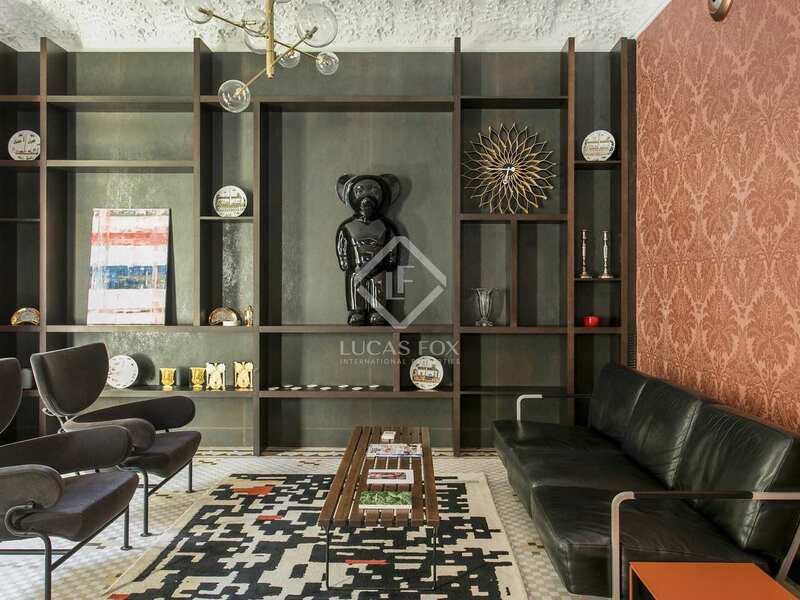 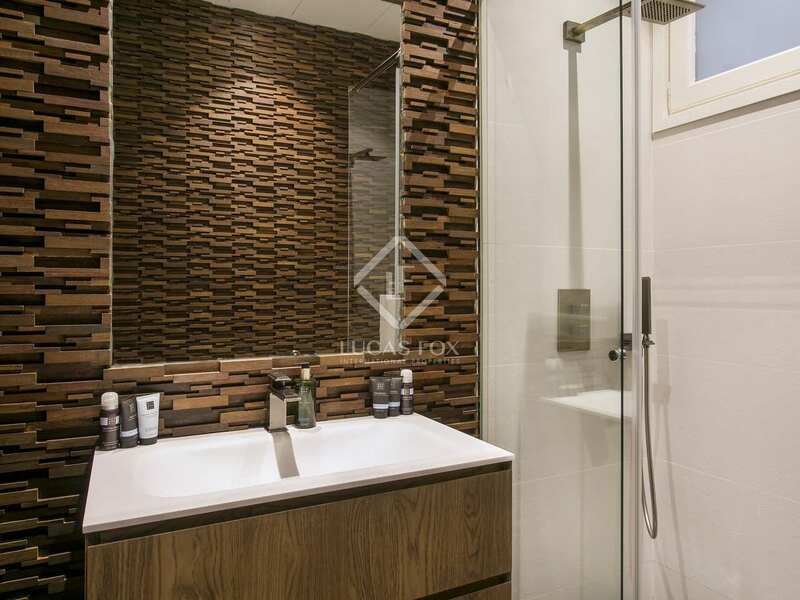 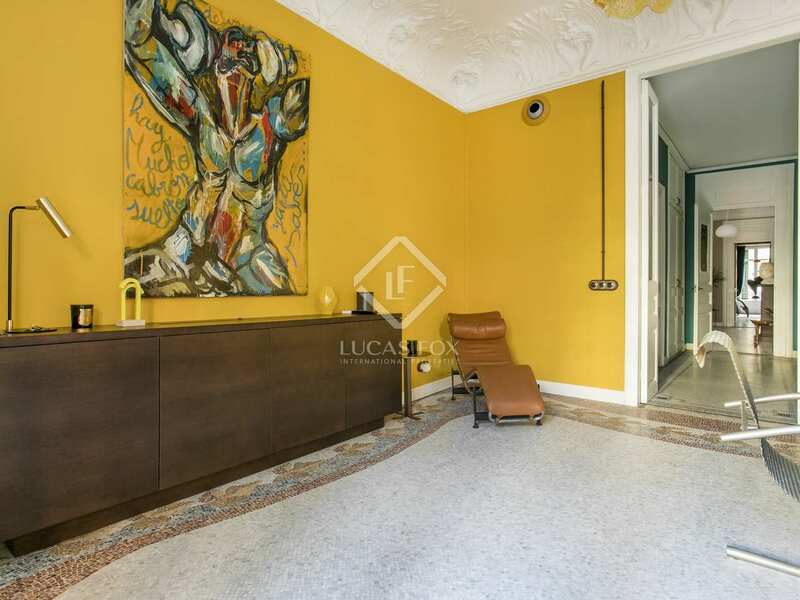 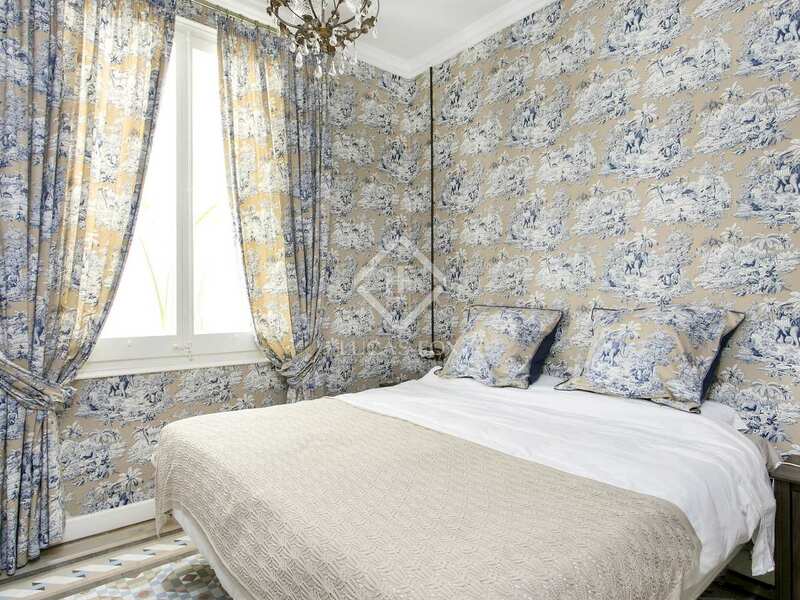 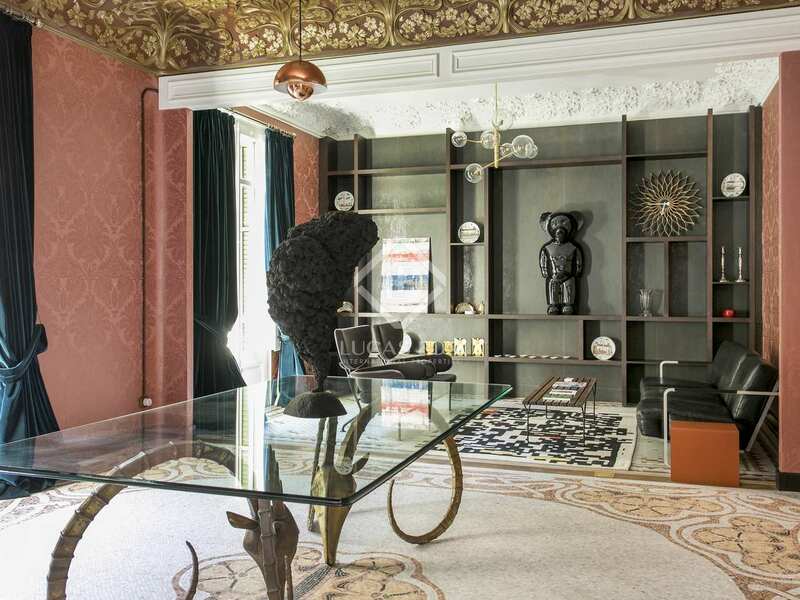 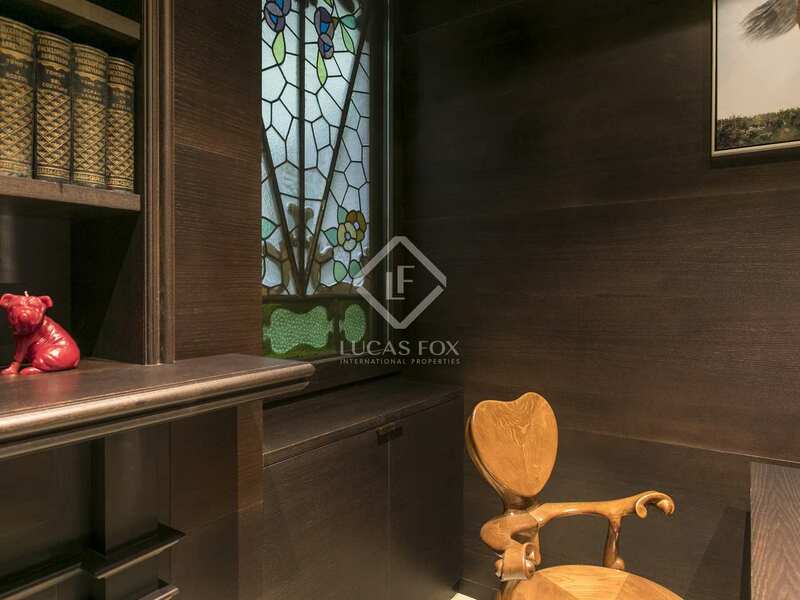 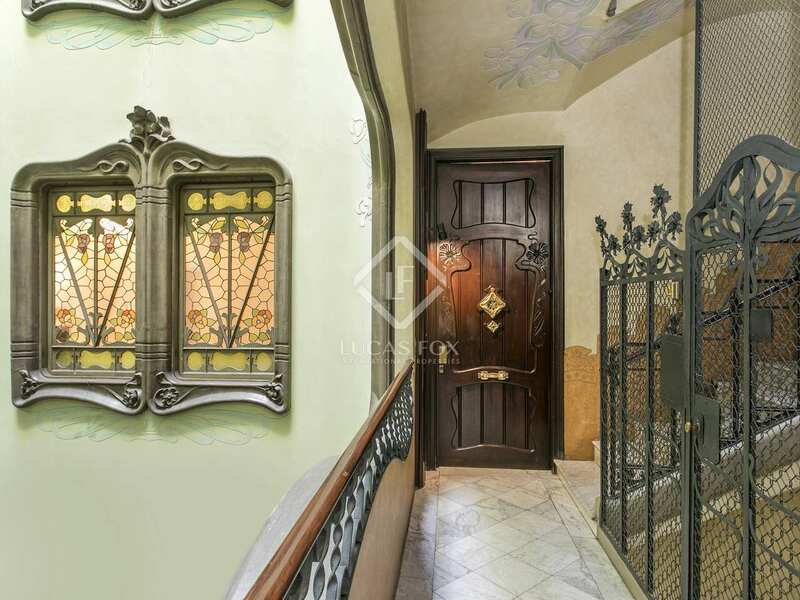 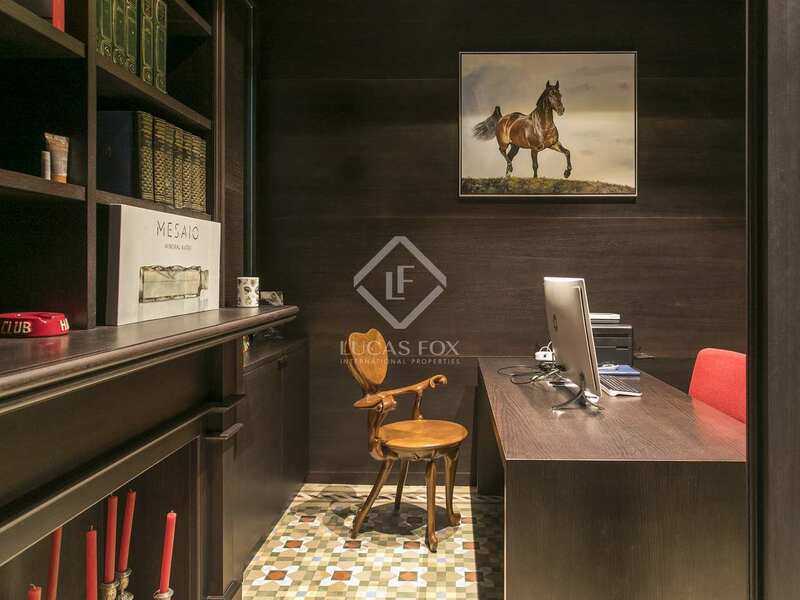 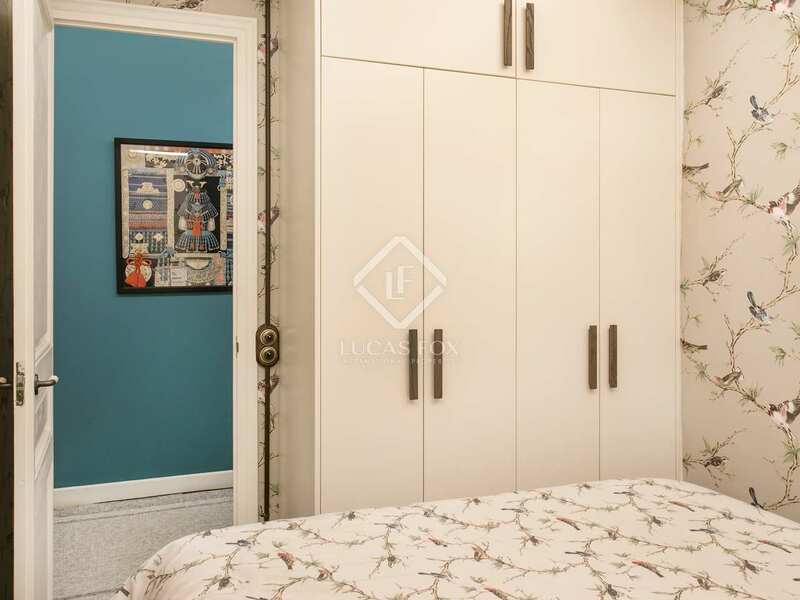 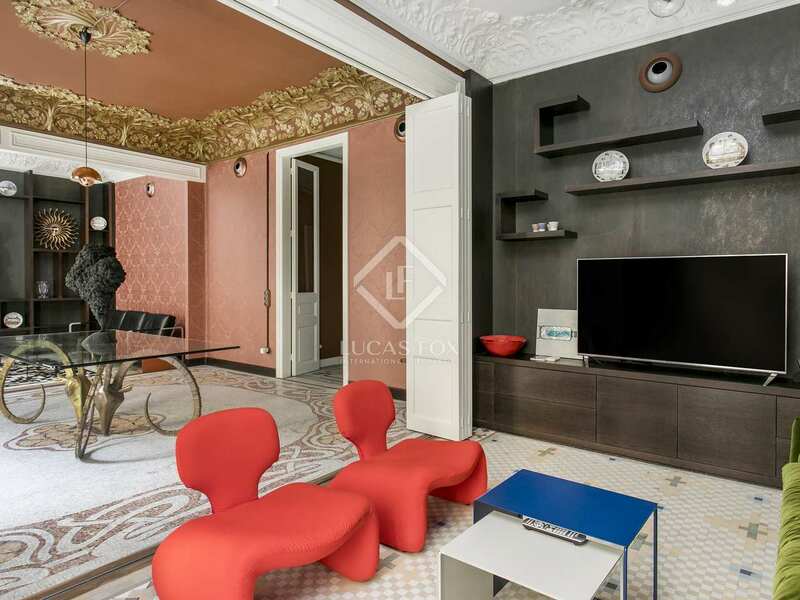 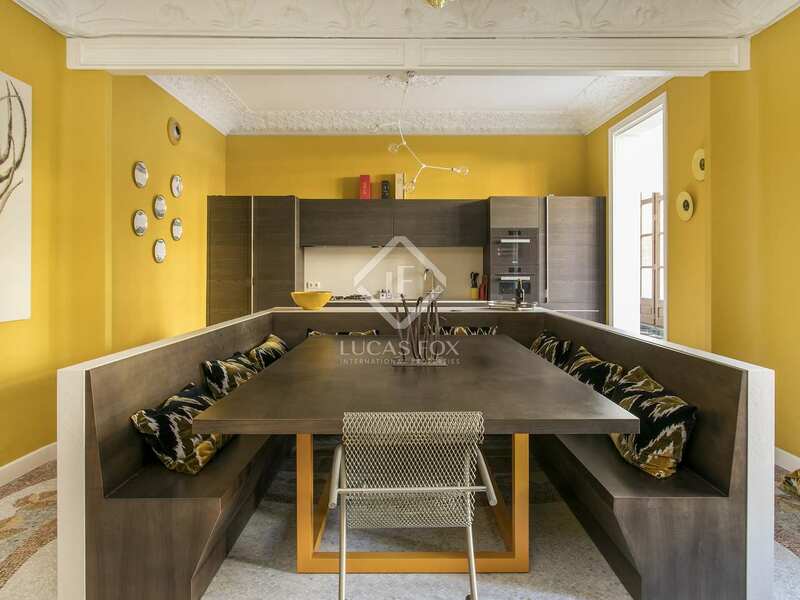 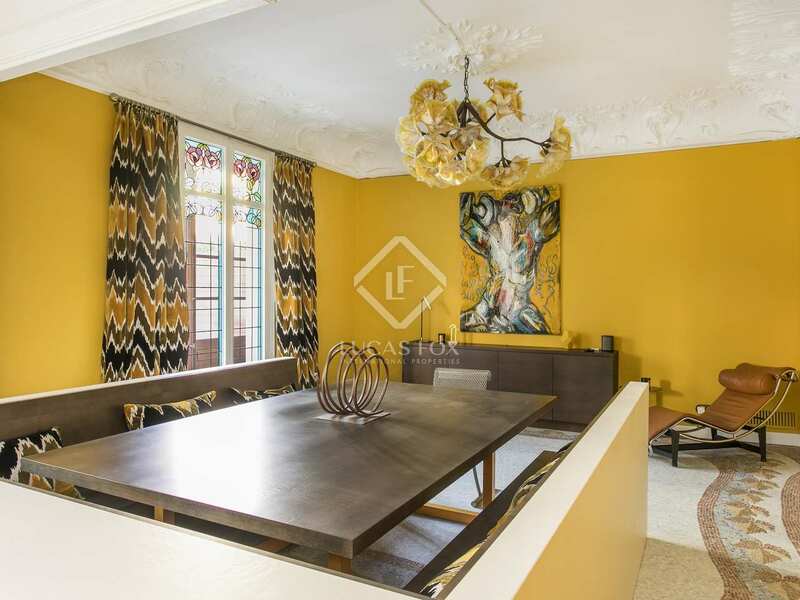 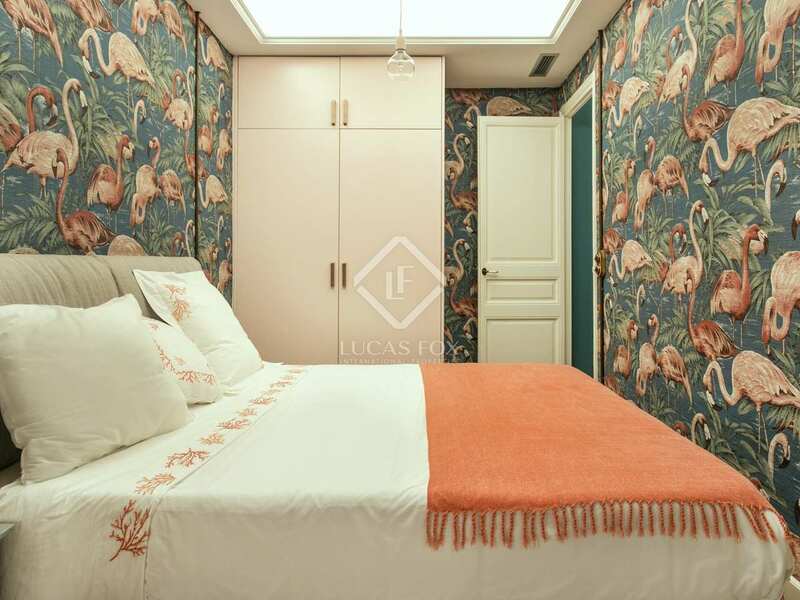 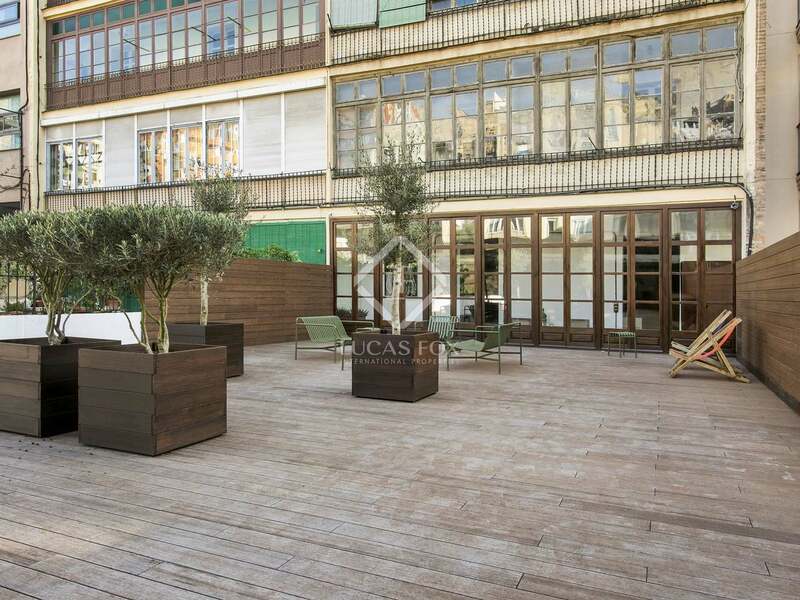 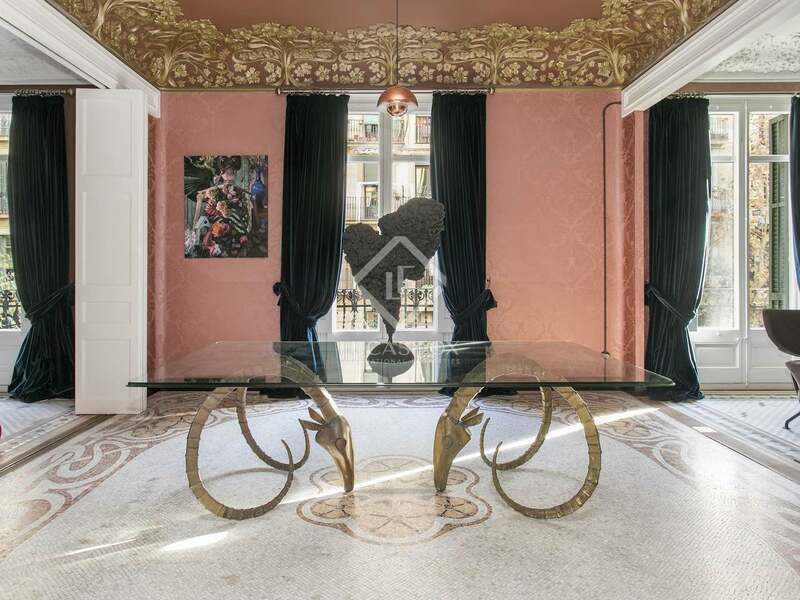 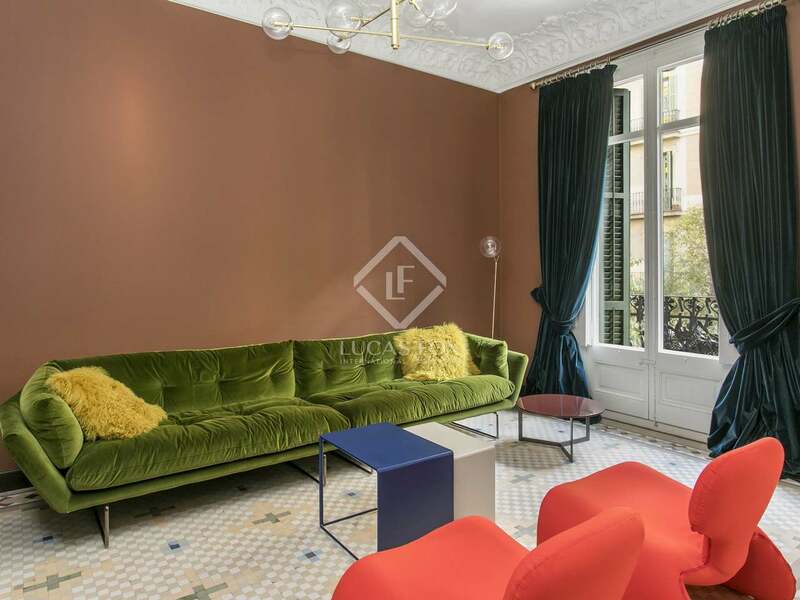 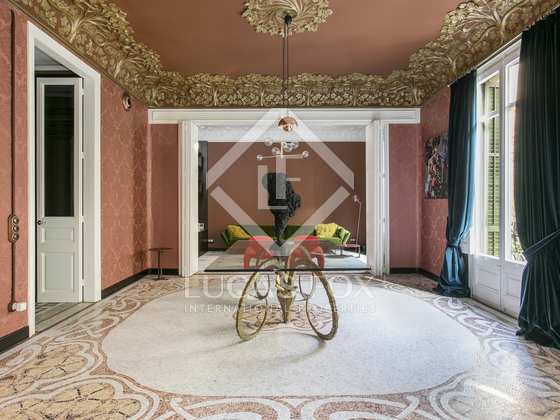 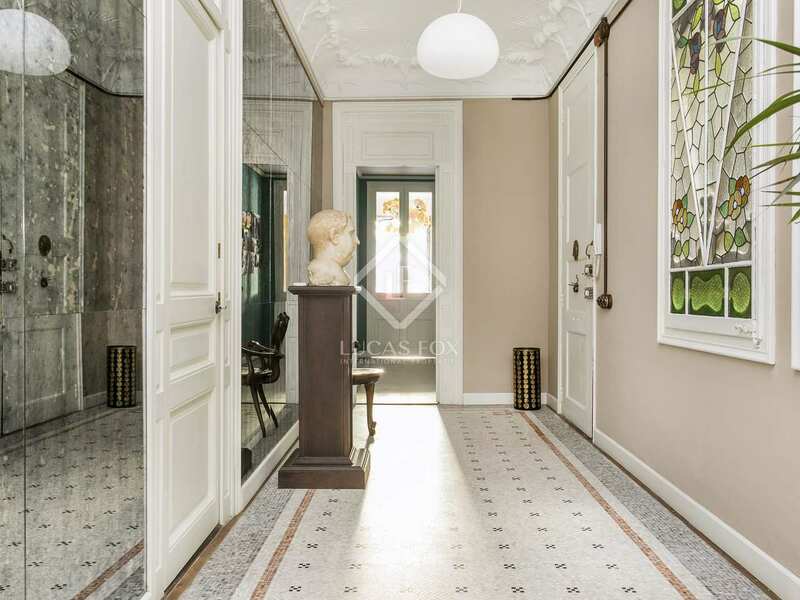 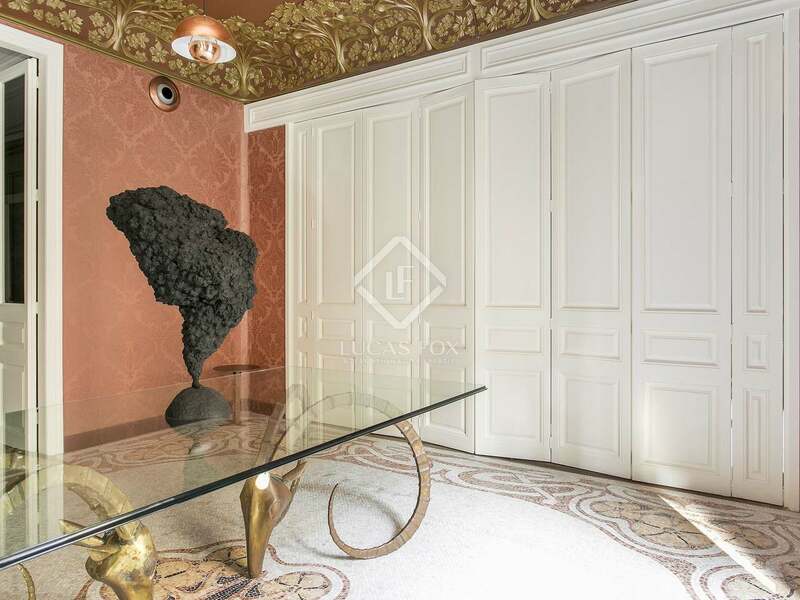 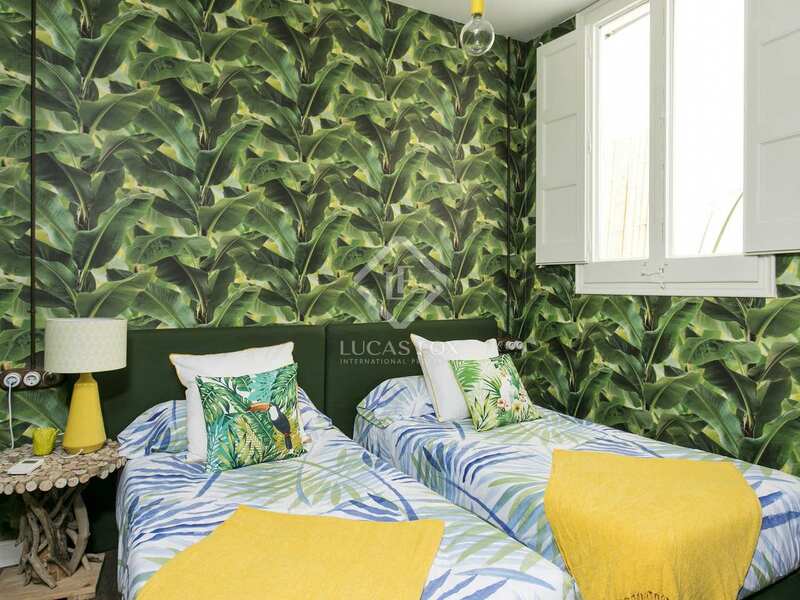 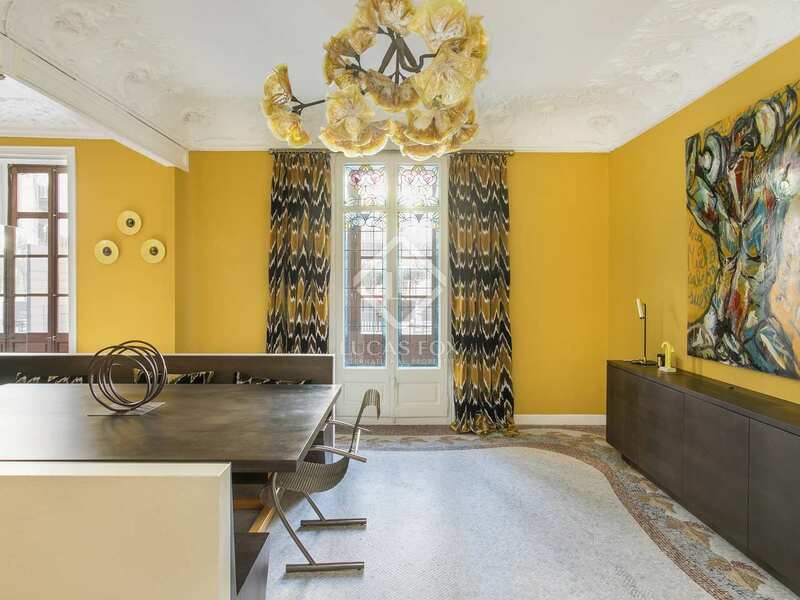 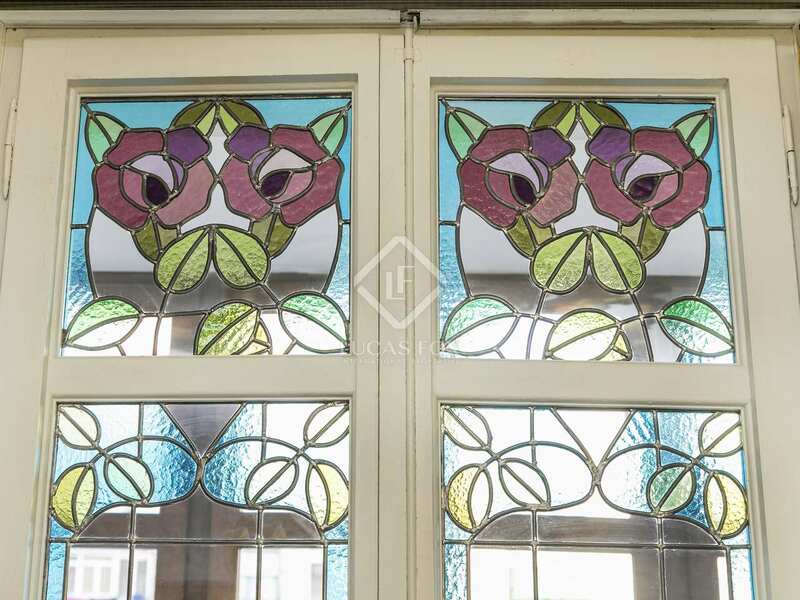 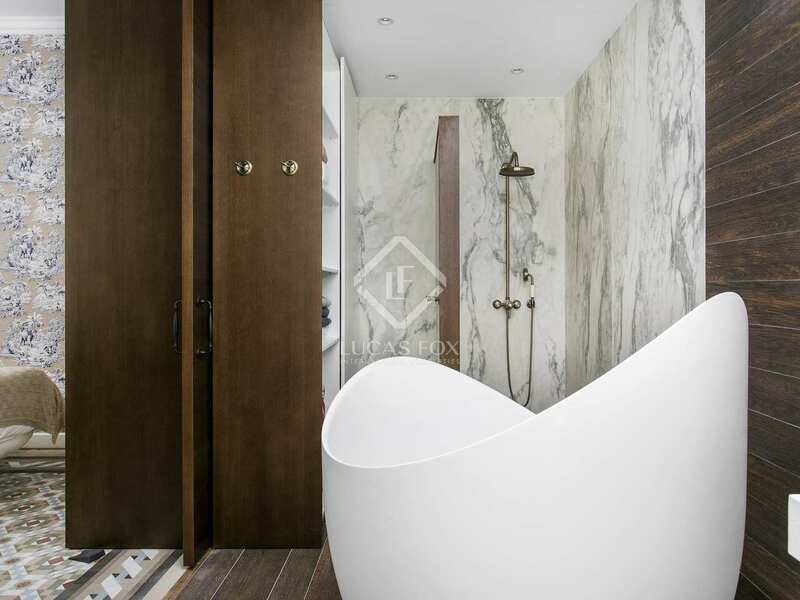 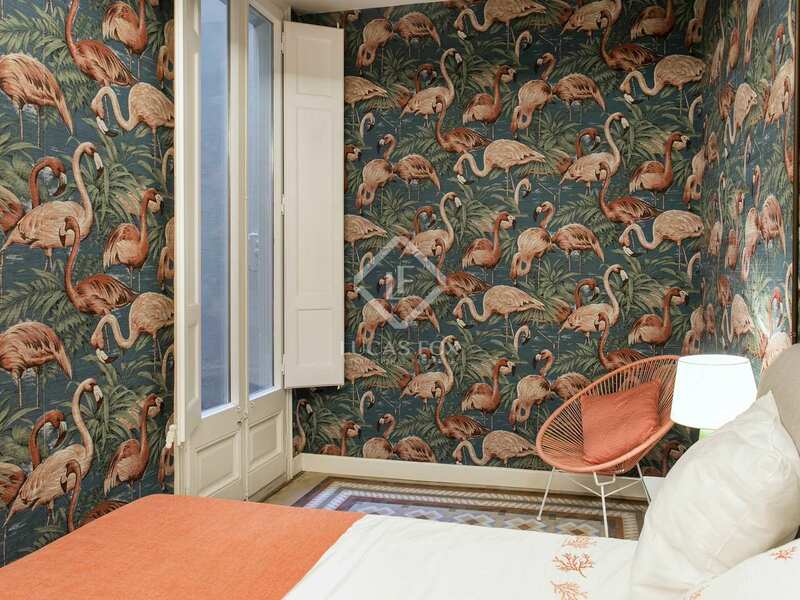 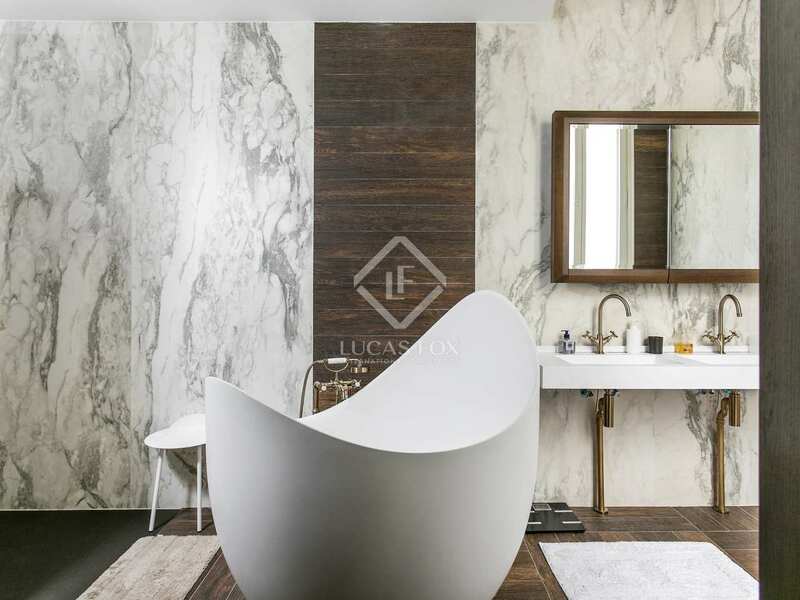 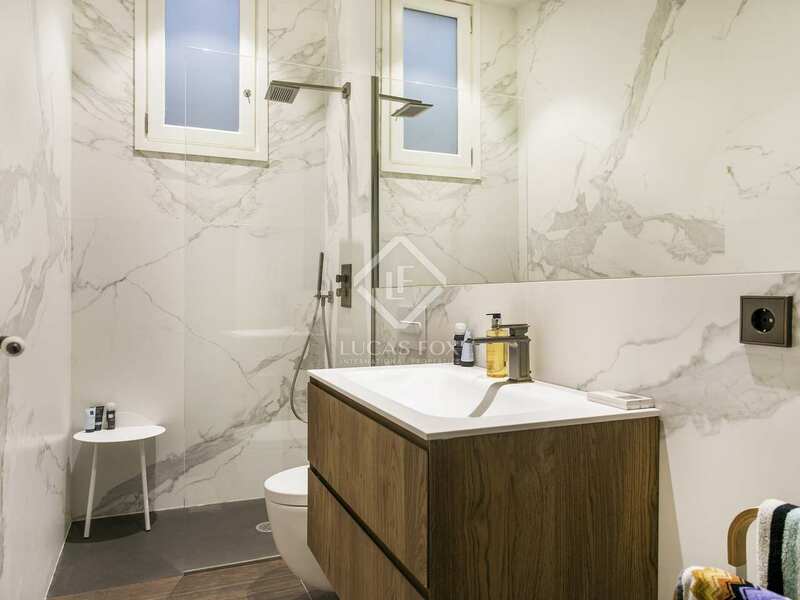 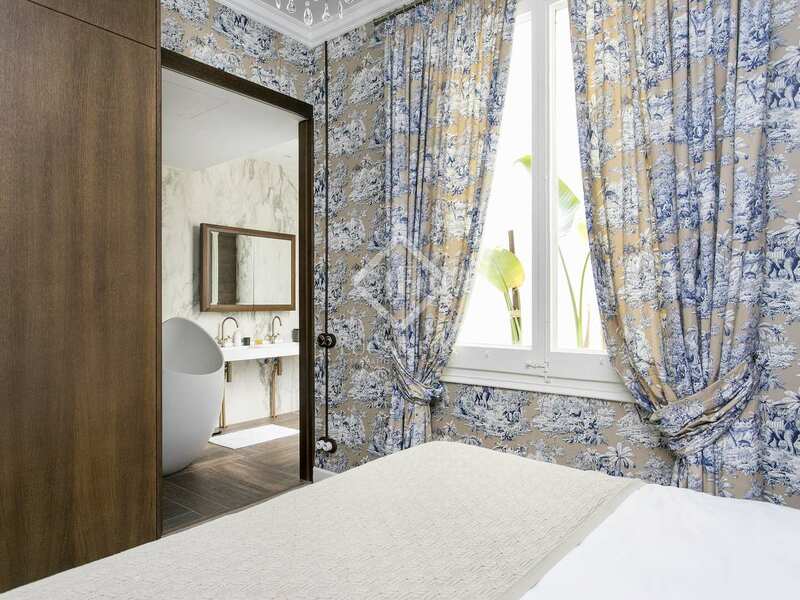 Set in a landmark building in the prestigious Eixample neighbourhood that dates back to the turn of the 20th Century, this beautiful property bears the hallmarks of a time when architecture was all about creativity and spectacle. 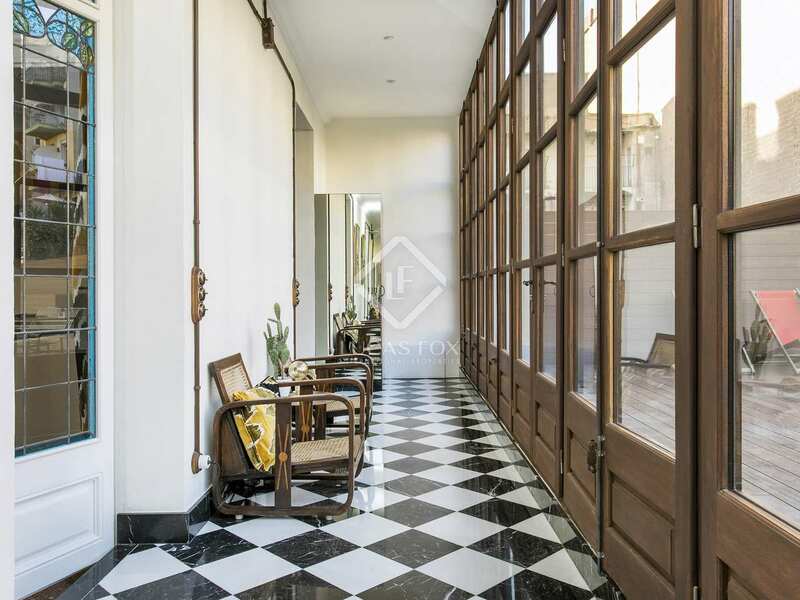 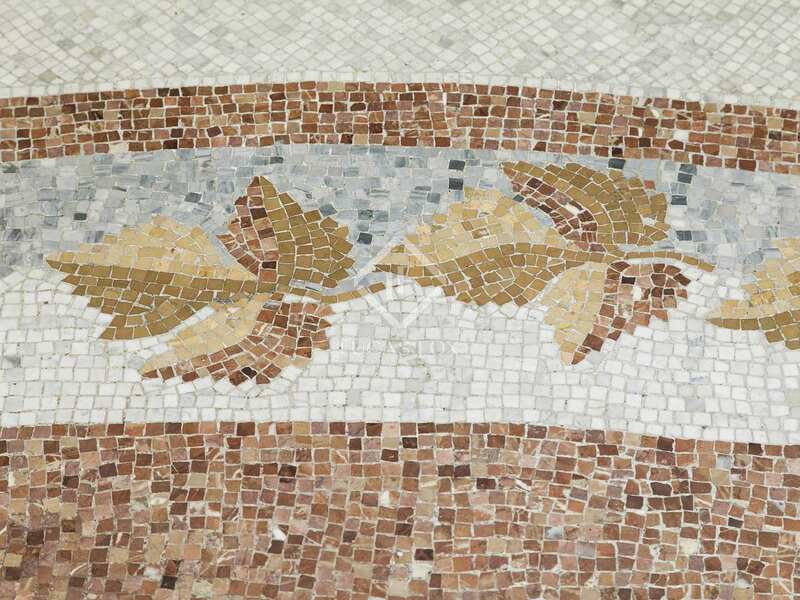 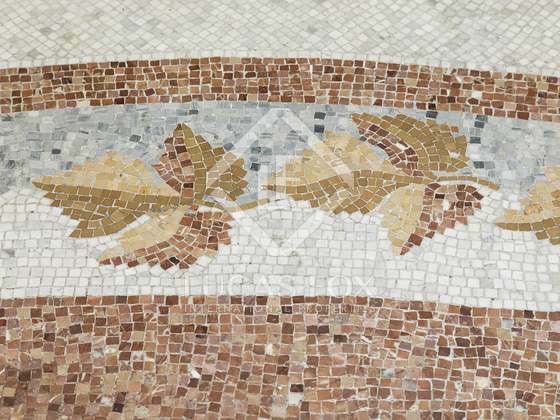 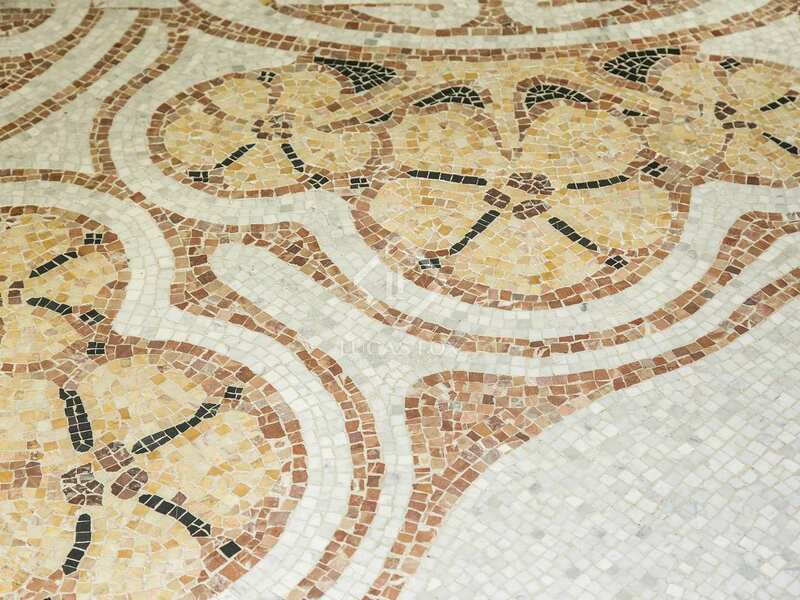 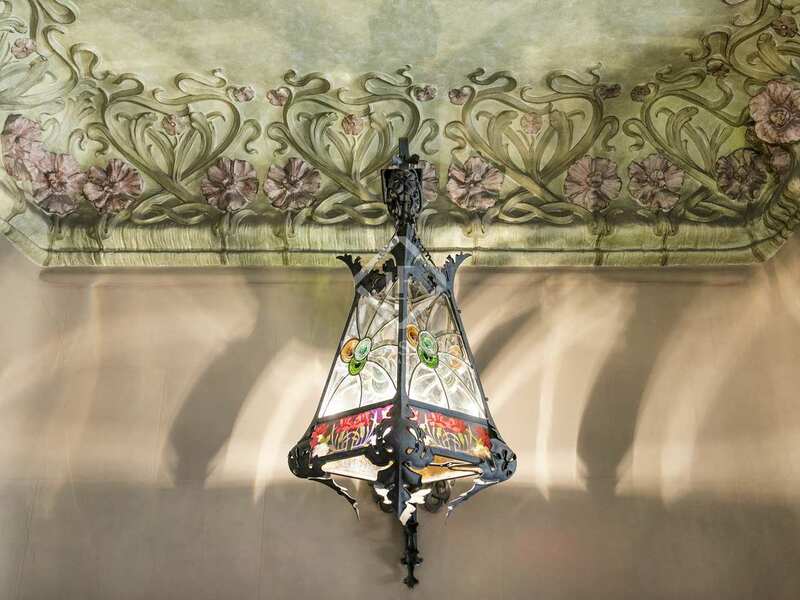 Modernist details abound throughout, including intricate wrought-iron balconies, high ceilings, mosaic floors and amazing stonework and stained glass. 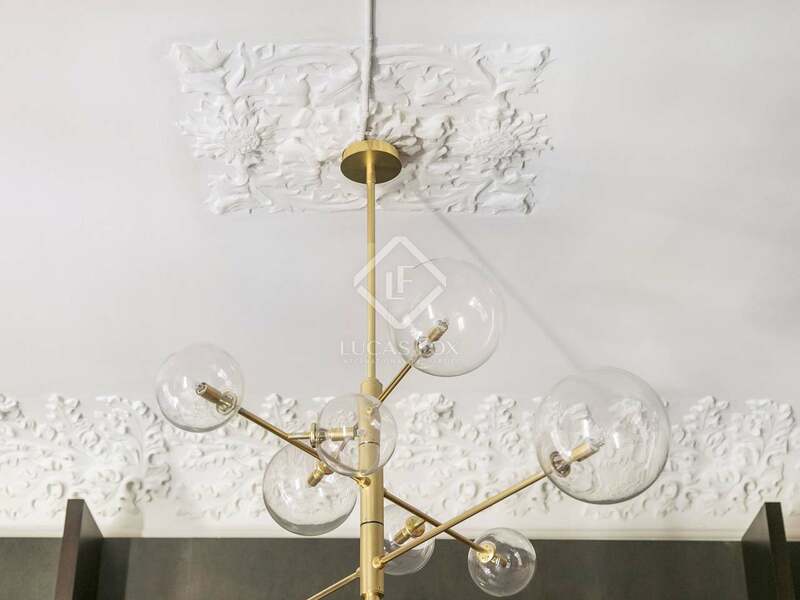 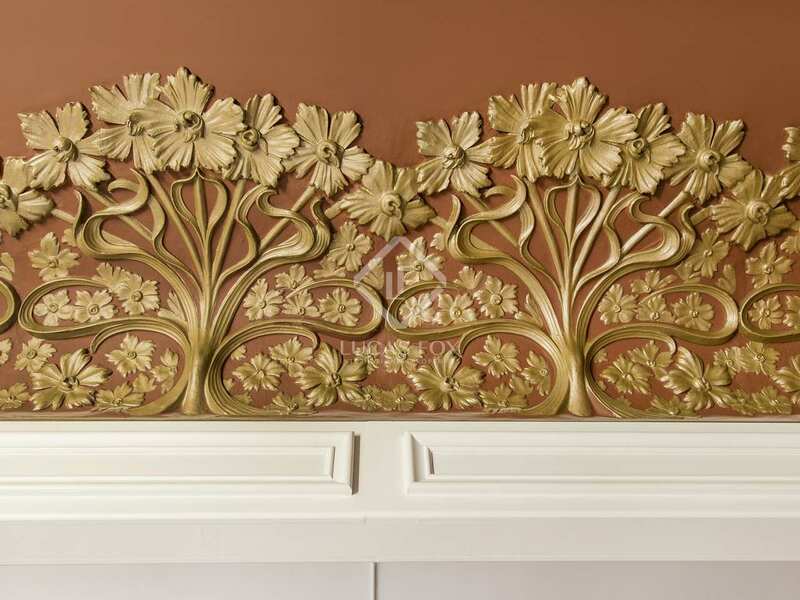 The recent renovation incorporates all of these historic details seamlessly into a living space that offers 21st century comfort and style. 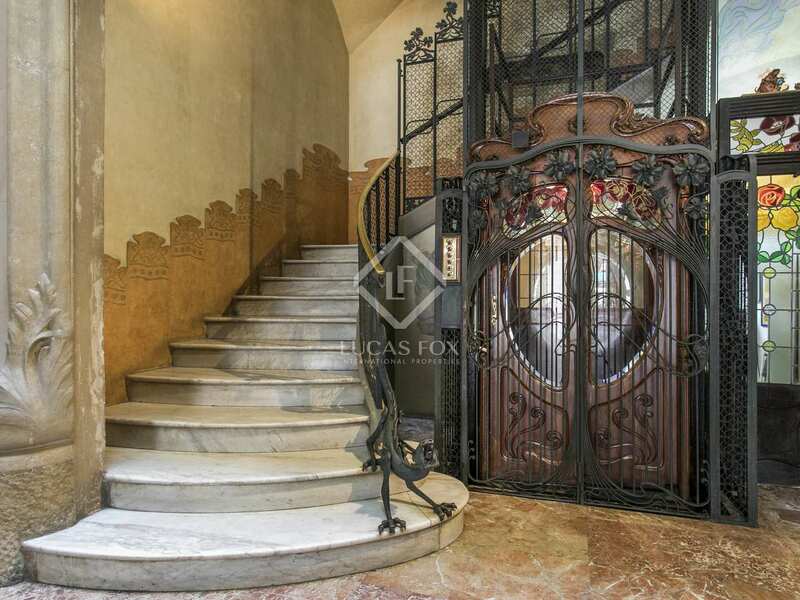 The breathtaking common areas with spectacular staircase, concierge station and classic elevator enclosure ooze the style and sophistication for which Barcelona is globally renowned, and this sense of history continues inside the apartment. 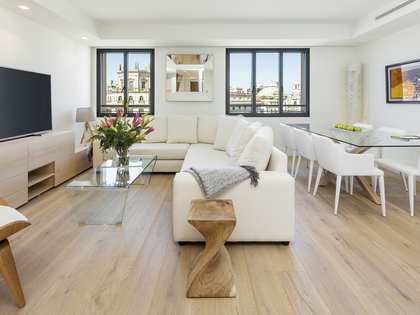 The feeling of elegant space is enhanced by elevated ceilings and imposing full-height windows and doors that let the natural light flood in. 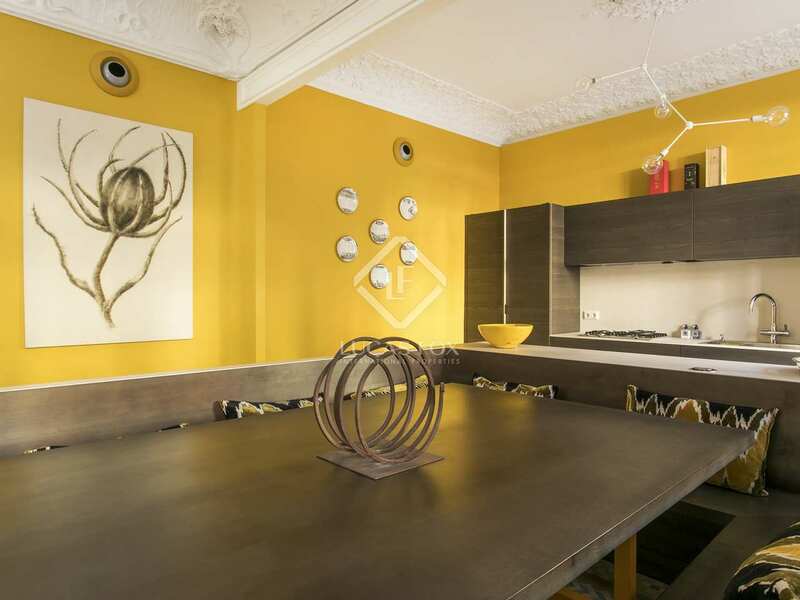 The living areas are large and versatile, and the bedrooms are accessed from the central corridor that leads to the kitchen, a truly spectacular room built around an innovative and welcoming central seating area. 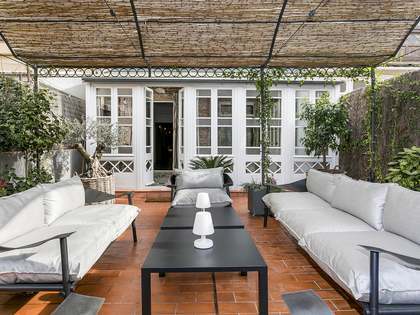 The kitchen leads onto a lovely glazed sun gallery that in turn overlooks the spectacular 184m² decked terrace, a privilege enjoyed by the lower floor apartments of the Eixample. 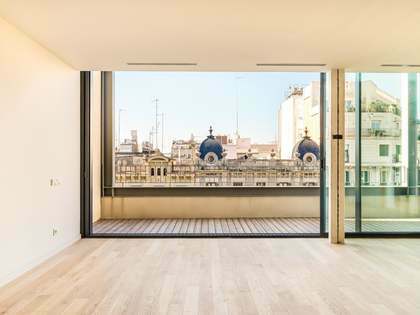 Huge interior open spaces were an important part of visionary architect Ildefons Cerdà's urban design ethos and this apartment benefits from a quiet, generously proportioned outside area that is perfect for chilling out or entertaining. 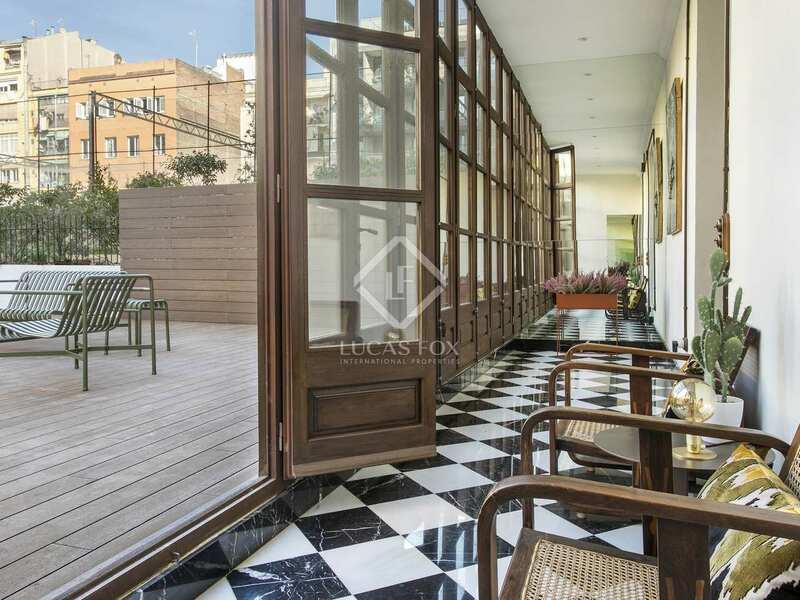 There are also three gorgeous balconies to the front of the building, perfect for watching the world go by and embracing the sights and sounds of the city. 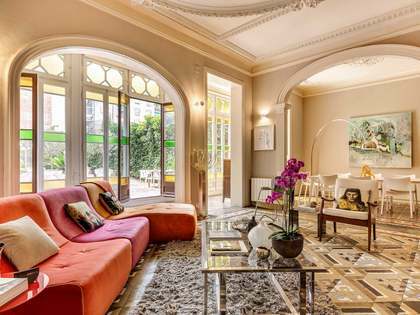 This is a jewel of modernist Catalan architecture set in the heart of Barcelona's famous Eixample, a geometric triumph of urban planning and home to some of the world's most admired homes. 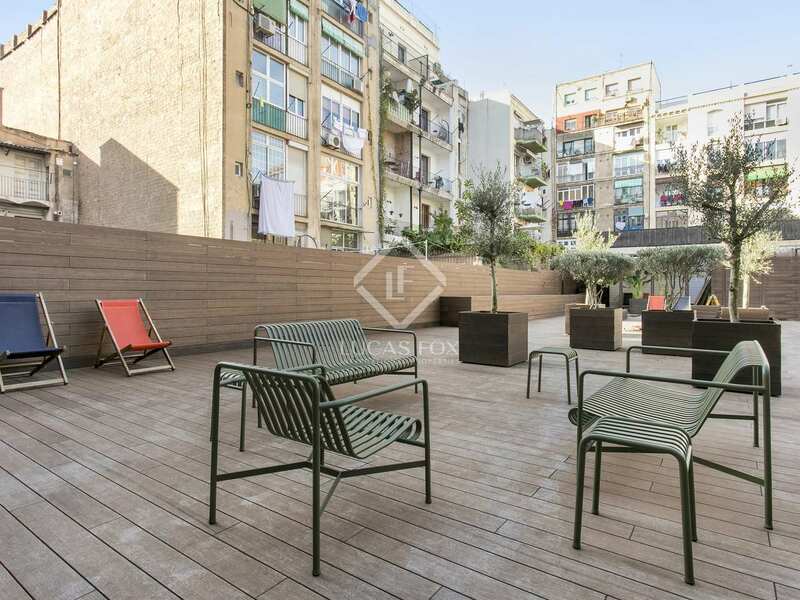 This is often referred to as Eixample Left, a highly sought after neighbourhood very close to the iconic Carrer d'Enric Granados with its wealth of restaurants and bars. 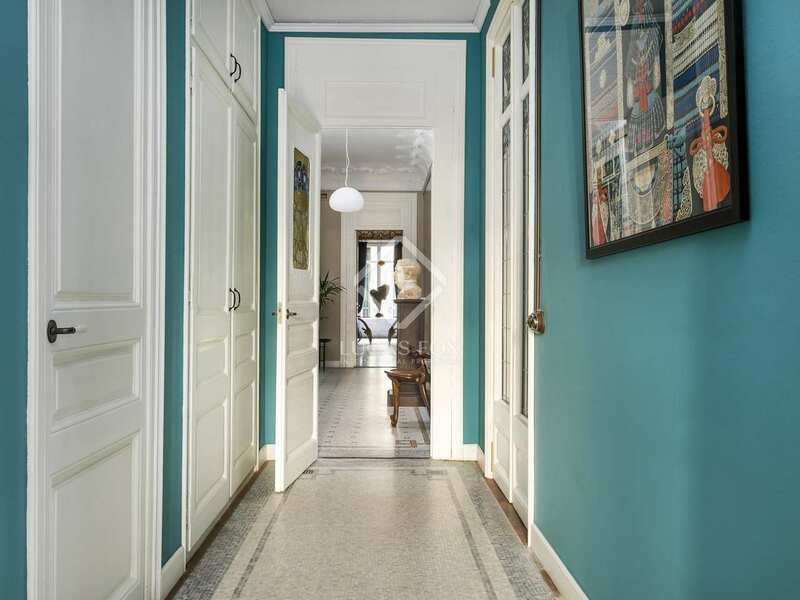 The Rambla de Catalunya and famous boulevard of Paseo de Gracia are also on the doorstep. This privileged position gives residents easy access to the whole city via bus, metro or train. 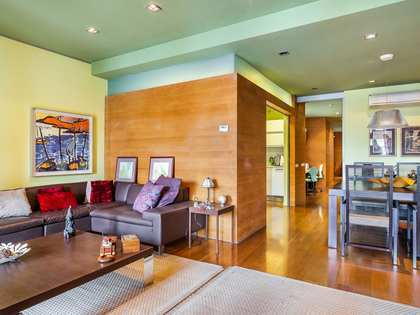 It's also easy to get about by car and the airport is just a 20-minute drive away.